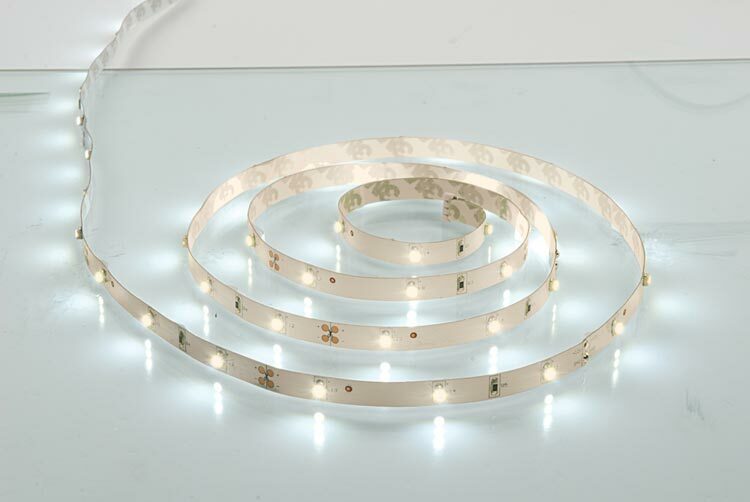 The Flexline 5m self-adhesive warm white LED ribbon tape kit is an energy efficient, adaptable and flexible lighting solution. 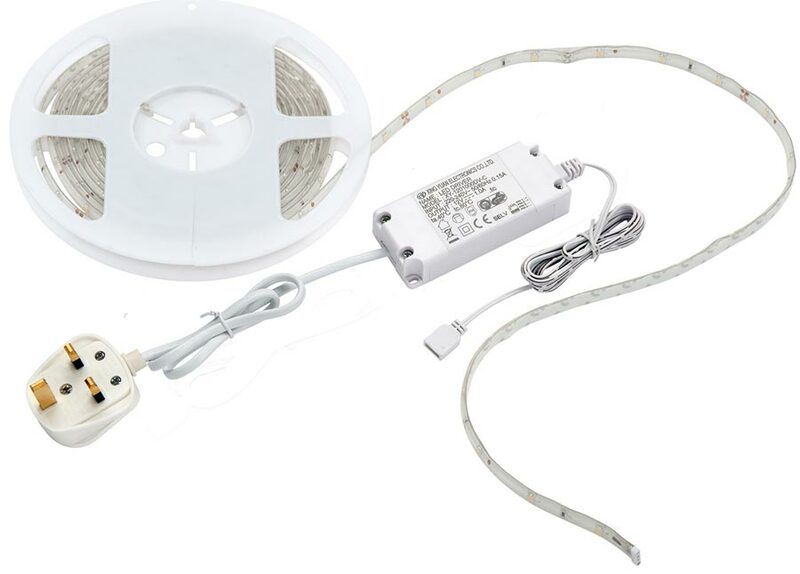 The kit contains a driver with UK 3 pin plug, 50cm extension cable and one 5m roll of LED ribbon with 150 SMD 3528. The kit can be used in a full 5m length or cut at 1m intervals where indicated. It cannot be cut at any other place and some soldering may be required. Please refer to the link below for full instructions. 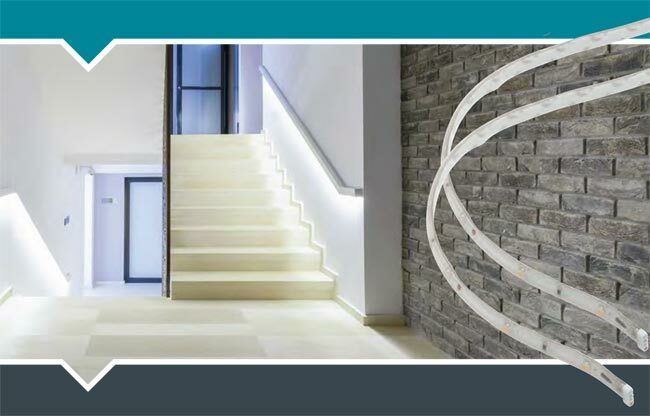 There is an accessory pack available to facilitate easy installation, please see associated products below. Perfect for accent or mood lighting when used on bookshelves to highlight ornaments or in kitchens for fully flexible lighting. This complete kit includes everything you need for a quick and easy installation.